Frankfurt has seen the official birth of a new, cuter Panda. It goes on sale in spring next year, with more space, better quality and a lower appetite for fuel in general. The changes are most stark in the cabin. There's a strong hint of Fiat 500, with better material use and seemingly a more accommodating driving position than before. 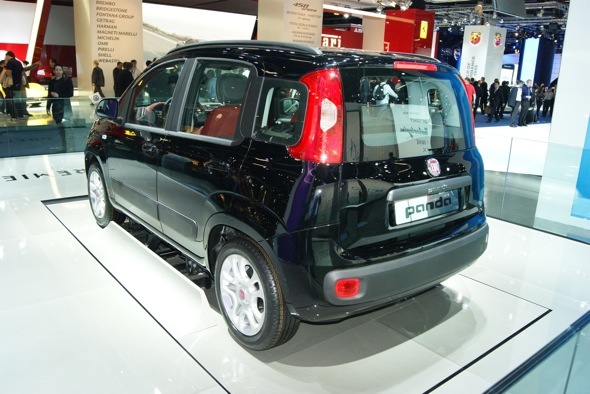 This is the third-generation Panda, and the latest member of a family with a colourful and surprising lineage: the first-gen Panda became the first ever diesel city car, technically (where the definition is 'shorter than four metres'), as well as the first with four-wheel drive. And in 1990 the fatty Panda Elettra was one of the first to offer an electric drivetrain. This one will benefit from Fiat's lauded two-cylinder TwinAir petrol engines, with the lower-powered of two developing 65bhp and the turbo version 85bhp. Fuel economy and CO2 emissions will be among the best in the class. A four-cylinder petrol with 69bhp will also be available, and a 75bhp 1.3-litre MultiJet diesel. 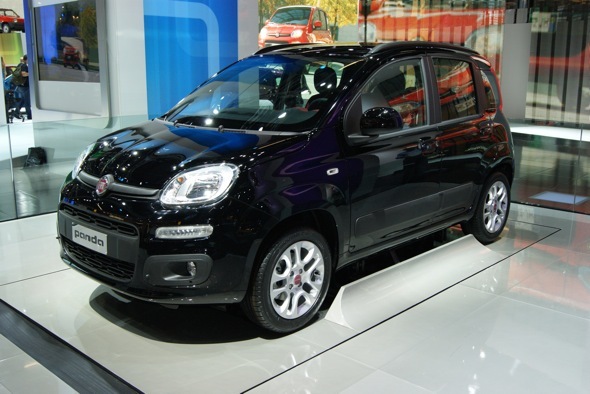 A Panda 4x4 is planned, though all spring's launch cars will be front-wheel drive. Prices will start from about £8,5000.